Paid employment training for youth between the ages of 15-30, not attending fulltime education. 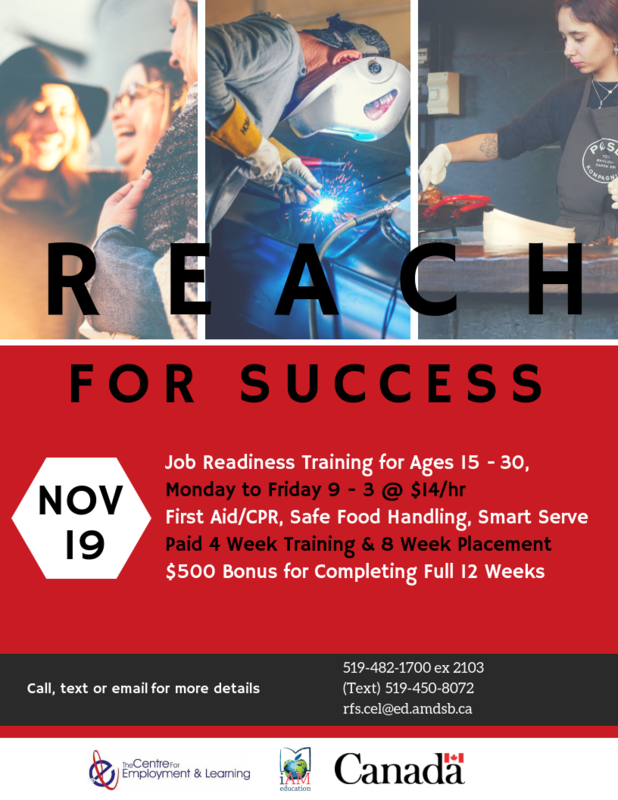 Participants learn how to find and keep meaningful employment by attending 4 weeks of paid training/workshops and then complete an 8 week paid placement with a local employer. They also receive First Aid/CPR, Food Safety Training, WHMIS, Smart Serve, Customer Service and Soft Skills training. Workshops are held at The Centre for Employment and Learning in Clinton. Transportation support may be available. Pre-registration is required. Please contact us well in advance of the start date.